Renata Metelska Fine Arts is specializing in exquisite original artworks ranging from the 20th century to contemporary American and European art. Well-established and with a very good reputation for the last 15 years. working with private collectors as well as Interior designers. Would you have any questions please don't hesitate. Basilius Besler (1561-1629) was an apothecary and botanist from Nuremberg, best known for his monumental Hortus Eystettensis. He was curator of the garden of Johann Konrad von Gemmingen, prince bishop of Eichstätt in Bavaria. 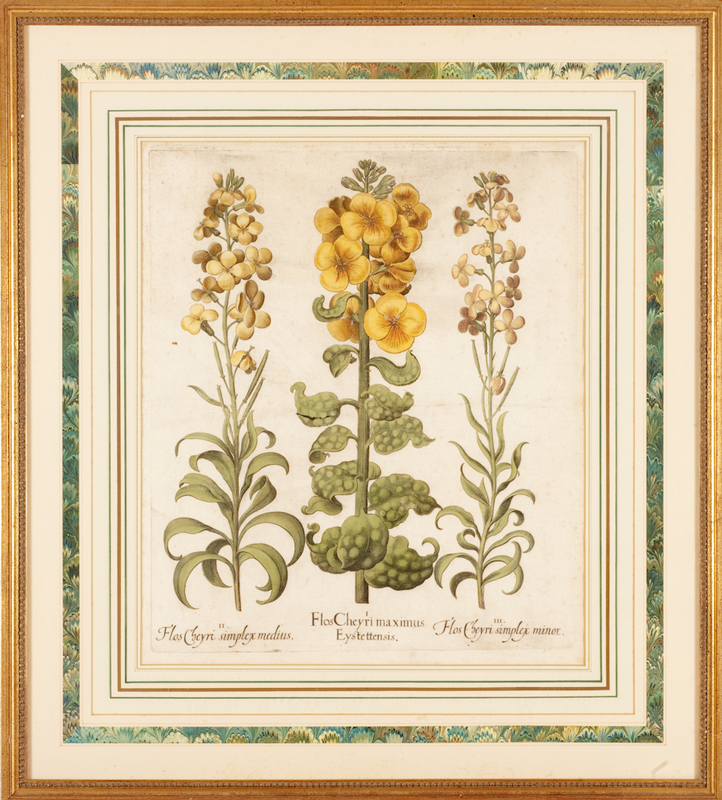 The bishop was an enthusiastic botanist; his garden rivaled Hortus Botanicus Leiden among early European botanical gardens outside Italy. The gardens surrounded Willibaldsburg, the bishop’s palace, built on a hill overlooking the town. Besler’s colleague, Joachim Camerarius the Younger (1534–1598), a physician and botanist, designed the gardens in 1596. Upon Camerarius’ death in 1598, Besler had the remainder of Camerarius’ plants moved to Eichstätt and carried on the work of planting and supervision. 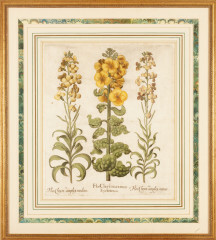 The bishop commissioned Besler to compile a codex of the plants growing in his garden, a task which Besler took sixteen years to complete.